First of all, I want to greet you guys a very Merry Christmas!!! In spite of the bad things that happened the past few months, I bet we Filipinos still find time to smile and celebrate the birth of Jesus Christ. 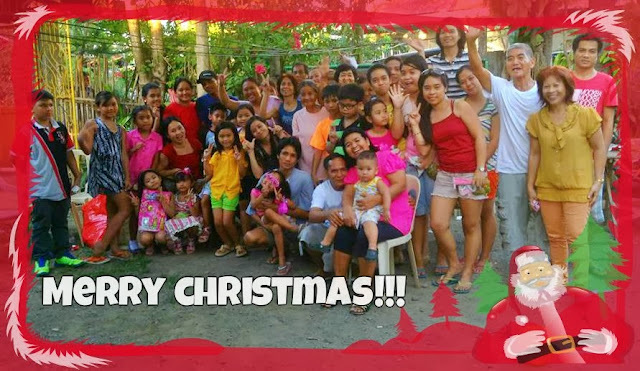 We may have different ways of celebrating it but at the end of the day, it all boils down to this: Christmas is a time we all want to spend with our family. Torres family. We're not complete here unfortunately. Last Christmas, we had a not-so-planned reunion with the whole clan. We held games for the kids and adults alike, prepared foods, shared laughter, gave gifts and spent quality time with each other. My cousins told me that we used to hold such event when we were still young, but when everybody started to grow up, we also started to celebrate Christmas in our own ways. My family usually visits my grandparents during this time but when they passed away, we opted to just stay home. But now that the next generation of our clan (the kids) are old enough to enjoy this day, my cousins decided to make every Christmas our "reunion" day. And so yesterday, everybody was here to enjoy the day and celebrate Jesus's birthday! Like last year, we prepared foods and parlor games. There were impromptu performances too! Everyone really had fun. 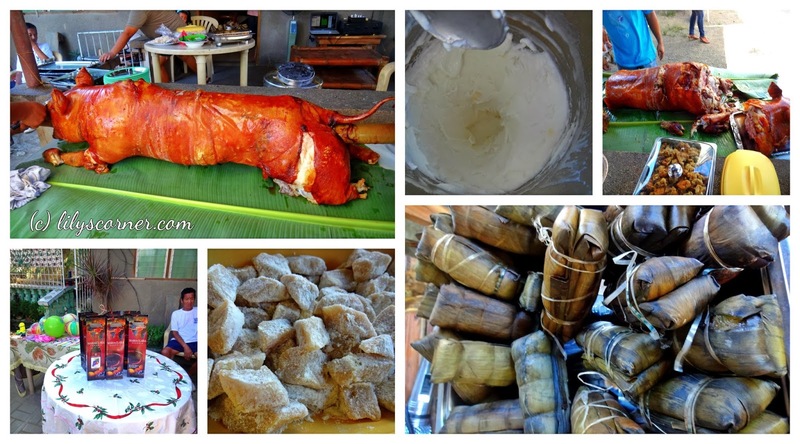 Some of the foods---lechon, ice cream, suman, espasol, wine, and chicken fillet. 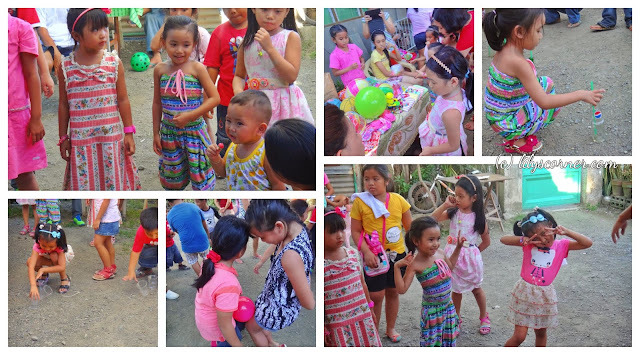 The kids were all excited everytime it's their turn for the games. Nobody went home crying because even those who didn't win got prizes for participating. The kids having fun during the games. It was indeed a fun filled day! We were able to laugh our hearts out, enjoy each other's company and most of all, spend this important day with those we love. If you think that you didn't receive anything this Christmas, think again. Look around you and you'll realize how blessed you are. Besides, we already received the best gift we could ever ask for---and that is our Saviour himself, Jesus Christ. What a big family you have! and the bonding is great. Merry Christmas and more power.